If I sound a bit less than excited at the new state of affairs, that's because Marvel's really been asking for the nonchalance. I've never been a fan of killing major characters to begin with because, pretty much in line with Sturgeon's Law, chances are you'll end up with a turd of a storyline on par with the death of Green Lantern Ch'p (run over by a yellow semi truck, I kid you not) more often than you will a tour de force like "The Death & Return of Superman." 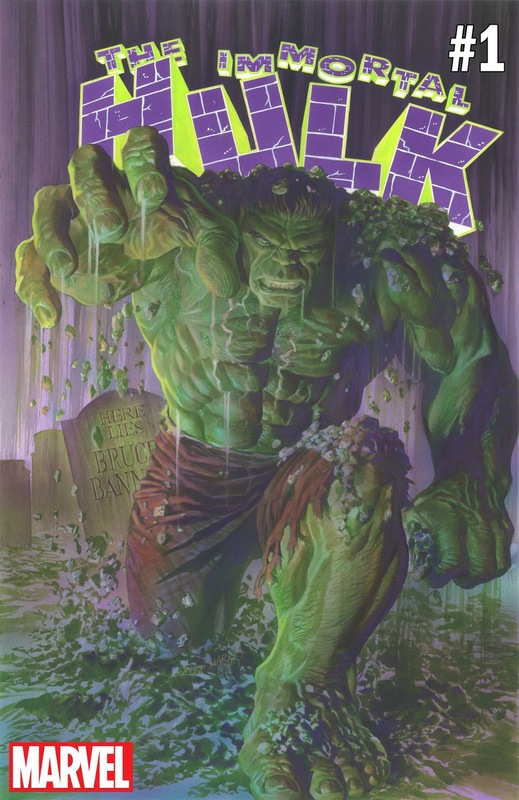 Having the Hulk killed by a writer with an obvious ax to grind wasn't a good start, and each successive temporary, "shock-value" resurrection didn't help. The silver lining in all this is that at the helm of Immortal Hulk is British writer Al Ewing, who, like "Planet Hulk" writer Greg Pak before him, comes with an avowed affinity for Ol' Greenskin. In the 10-page prologue within Avengers #684 alone, he's referenced several obscure and not-so-obscure moments in the 56 years the Hulk's existed--moments calculated, naturally, to emphasize the raison d'etre of the new series. Another silver lining is that one of my favorite B-level artists seems to be bringing his A-game. Joe Bennett, whose work I first noticed in Marvel's Nightmare miniseries in 1994 and who's drawn several books I've enjoyed since, including a brief stint at the tail end of Paul Jenkins' tenure on Incredible Hulk. He's never really had a top-level gig to give him the attention he deserves, but I hope Immortal Hulk changes that. It's funny--over the last week or so I've been talking to a group of other Hulk fans over on Twitter (mostly via private messages, so if you're looking for us, you won't find us) and I have to say the enthusiasm for some movement, any movement, with regard to the big guy's resurrection has been off the charts. Perhaps that enthusiasm is out of proportion considering that Banner has been mostly off the board for two years now? Regardless, with talk about how Ewing intends to get to the bottom of the Hulk's many miraculous resurrections, as well as his ability to see ghosts, at the very least we've got somebody who seems the polar opposite of those who shuffled him off the mortal coil. The more I think about it, however, the more I start to worry about our Green Goliath. Should the new series be predicated on the idea that the Hulk--and by extension, his alter-ego, Bruce Banner--cannot die? It's one thing for a comic book character to die and return, after all; for the most popular characters at the Big Two, you have to keep telling new adventures month in and out, keep getting new editions published, keep the cash flowing in. It's something else again to turn a series about a beloved character into a way to muse about death, and I question whether the powers that be at Marvel have thought this new "take" all the way through. Tales to Astonish #69 (July, 1965): The army infiltrates the Leader's lair just as the Hulk has destroyed one of Banner's machines rather than let the Leader use it. One of the soldiers shoots the Hulk just as he makes the change into Banner. In the next issue, Rick Jones bombards Banner's body with rays from the projector, which turn him into the Hulk anew, albeit with Banner's intelligence. Banner must remain as the Hulk else the bullet fragments in his brain cause his final death; a few months later the Leader analyzes the Hulk and rids his body of the fragments, but further Gamma Ray exposure during the surgery leaves him trapped as the monster for several more weeks. The Incredible Hulk #225 (July, 1978): Banner is cured of being the Hulk after his body apparently burns off the last of the Gamma Rays within him, but pilots a Hulk robot when the Leader returns and seizes control of Gamma Base. During the battle, the robot is destroyed and the feedback nearly kills him. 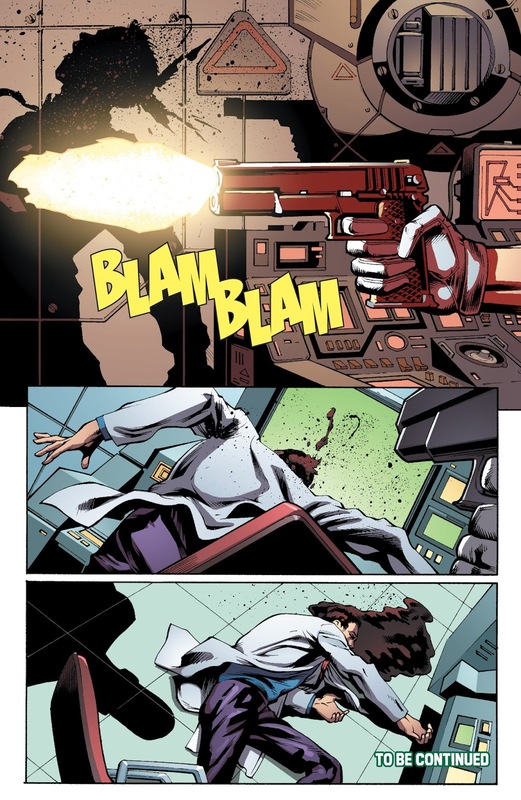 Doc Samson takes him into the lab and bombards his body with Gamma Rays. First, it seems he dies, but soon after, he transforms and the Hulk is reborn. The Incredible Hulk #367 (March, 1990): His body about to succumb to a synthetic virus designed to kill him, the grey Hulk nearly wastes away to nothing, his body a shadow of his former self. With an hour left to live, the Hulk discovers from the Leader that his would-be assassin is the Leader's own brother, Madman. The Hulk injects himself with the antidote just as he changes into Banner. 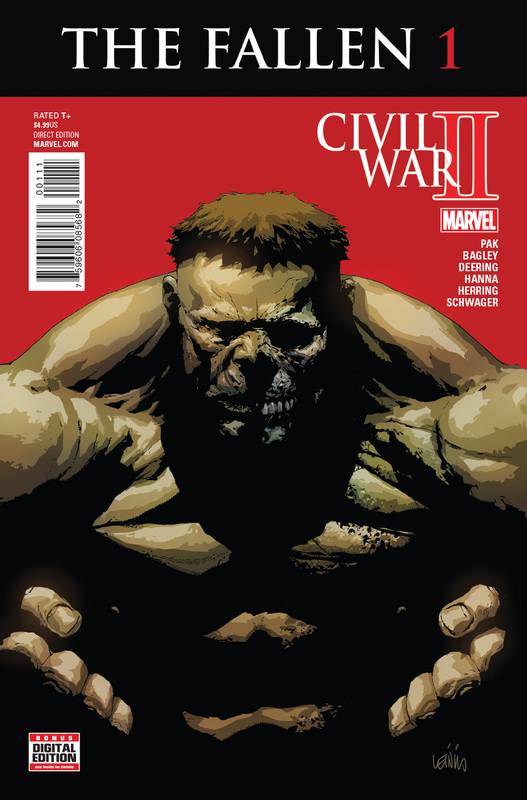 By the next issue, the Hulk resembles his old, bulky self. The Incredible Hulk #446 (October, 1996): Separated from Banner during battle with the villainous Onslaught, the Hulk's body begins to suffer a nuclear meltdown in the middle of New York City. His body wracked with pain, mutating, contorting, he rips part of his own face off before having a nuclear containment unit dropped on him from above. He threatens to melt through the container but then the process stops, leaving him trapped within the metal cocoon. Two days later, the Hulk re-emerges, leaner, meaner, and in touch with Banner's repressed memories. Eventually he reunites with Banner, who went away to a parallel Earth along with the Avengers and Fantastic Four; their reunion enables both teams to complete the journey home. The Indestructible Hulk #20 (May, 2014): Alone in his lab, Banner has just finished lying to SHIELD Director Maria Hill about the whereabouts of his lab assistants. He narrates his personal journal when he is shot at point blank range in the back of the head. He does not die, but is left with irreversible brain damage. Iron Man gives Banner "Extremis 3.0," a technological virus, that heals his brain; Banner further uses the Extremis to rewire his own physiognomy and transform himself into an intelligent Hulk. That Hulk then starts a quest to cure as many Gamma-enhanced beings as he can. Along the way, Banner's would-be assassin is revealed--unbelievably--as his ex-wife, Betty Ross, who had through her association with another faction of SHIELD become convinced that Banner would contribute to some impending catastrophe, and that his death was the only way to stop it. Eventually, the Hulk's own healing factor overrides the Extremis and he is again left with his normal intelligence. Uncanny Avengers #14-17 (November, 2016-February, 2017): With assistance from Brother Voodoo's twin brother Daniel, the Hand digs up Banner's body and apparently revives him using their spells. The resurrected Hulk battles the Uncanny Avengers team until Brother Voodoo is able to find him on the astral plane and free him from the Hand's influence at the cost of his brother. The Avengers then give Banner's body to Captain America, unaware that he is now the head of Hydra. Secret Empire #5-6 (August-September, 2017): Hydra scientists have again revivified Bruce Banner. 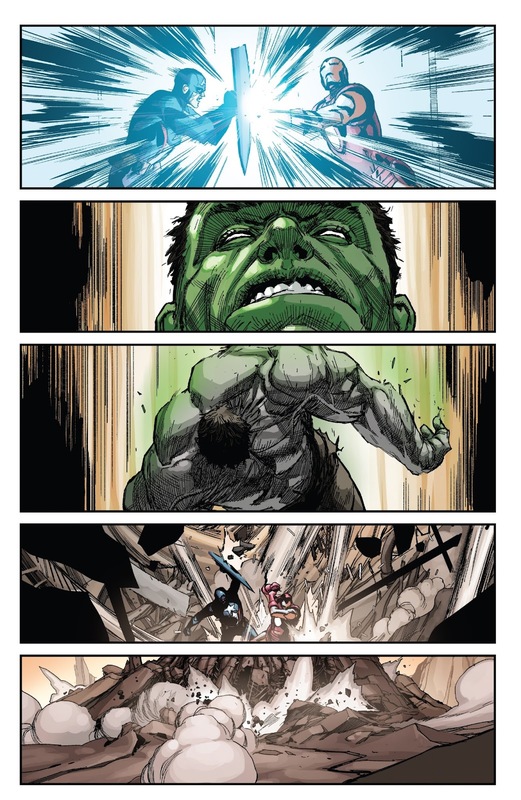 While Banner refuses to help Cap, the Hulk within him hangs on his every word and emerges to help--perhaps as a "screw you" to the heroes who let him die, or perhaps for other reasons. Regardless, the Hulk battles the heroes before collapsing in a death pre-planned by Hydra. In a few of the above cases, he's never really stated as being dead; in two instances, Gamma Rays are a facilitating element in bringing Banner/Hulk back from death; in still others, the method of revivification is never explicitly stated but could, conceivably, involve irradiation. What I was struck most by in the prologue was that Ewing chose to insert one more death--one which was implied for the longest time but is now made decidedly explicit. You could say that, on the day of the fateful G-Bomb detonation, the Bruce Banner everyone knew well and truly died, and that forever after he was reborn as the Hulk. A peek between the panels of page 4 of Incredible Hulk #1 (May 1962) now reveals that Bruce Banner did actually die on that day, but he came back. And ever since he came back, he hasn't been alone. You can say that Ewing's intention of tying the Hulk's inability to remain dead with his ability to see ghosts is misguided--after all, in The Incredible Hulk #-1 (July 1997) Peter David explained that the Hulk developed the ability out of the mortal fear that his father would escape Hell and come after him for Banner having murdered him years before. However, it's possible--probable even--that there's a deeper explanation and I'm eager to hear it. Amid all this, the part that concerns me isn't that Al Ewing will take things in such a radically different direction as to lose fans; it's that he can alienate the chance for getting new fans by actually forging a deeper connection with the work of Peter David--historically thought of as one of the Hulk's very best writers. If you make Banner an unrelatable, unlikable character, then readers would naturally check out...and it could easily happen when you have him addressing his own mortality (or lack thereof). In a subtle sense, what the Gamma Rays did was allow Banner's multiple personalities to manifest themselves physically. The childlike green Hulk, popular from 1965 through about 1982, is distinct in form, intelligence, and temperament from the crafty, grey Hulk who was seen in the first few days after the G-Bomb, came again to prominence between 1986 and 1991, and who is known in modern times as "Joe Fixit" due to his brief stint as a Las Vegas legbreaker. Further, one could argue that the entire reason Banner was the only Gamma mutate who regularly changed back and forth between his human and Gamma selves was because of his DID. When the two Hulks began manifesting concurrently, Doc Samson integrated Banner's "core personality" with his other two alters to form a gestalt being with characteristics of all three, the so-called "Merged Hulk" (in The Incredible Hulk #377 [January, 1991]). This Hulk later became known as "The Professor" when Banner's friend Dr. Angela Lipscombe theorized that he was just a benign personality and not a true gestalt (The Incredible Hulk #16 [July, 2000]). There's a further extrapolation one can make from Banner's metamorphoses, one which strikes at the heart of what Ewing could do with the character. Namely, remember what Samson himself said about Banner when Betty asked him if he could be normal: "He can't ever be 'normal,' Betty. His cells are Gamma irradiated. That would still be reflected." Put this together with his ability to change into both grey and green Hulks, and you arrive at an interesting idea: who we know as "Bruce Banner" is but one of the three personalities who could, at any time, be in control of the body. He's still Gamma powered, but he's the one that looks, acts and feels the most "human" out of them. When Paul Jenkins wrote the story that "debunked" the Merged Hulk as "just another personality," he also revealed the existence of an entire cave of potential "Hulks" with Banner's subconscious, along with one that purported to be the sum of his basest instincts--a serpent in the scientist's proverbial garden. Not only that, but in The Incredible Hulk #19 (October, 2000) the Hulk is trapped by General Ryker and bombarded with Gamma Rays as he is shown a series of photographs. Subjected to intense pain and reminded of traumatic moments in his life, he physically changes into various "Hulks" we had, to that point, never seen before! Hence comes Ryker's own theory: "[H]is metamorphoses coincide with the suggestions I give him. I wonder, is the Hulk actually Banner's internal defense mechanism externalized?" It's all there and you can draw a conclusion thus: the power of the G-Bomb released in Bruce Banner the ability to physically manifest other personalities he had created as result of being abused as a child. Not only that, but the Gamma also accelerated the ability of his subconscious to splinter off new personalities (as can happen with DID patients experiencing new trauma), all of which provably can also have their own physical forms. Now, remember what I said: since the G-Bomb, Banner isn't Banner anymore; he's one of at least three Gamma mutate forms, although he's the one who looks, acts, and feels the most "human." What if Banner realized...thanks to acknowledging the Hulk's inability to die...it didn't need to be that way at all? You could argue that some of this territory has been touched on previously, however inadvertently. After all, Bruce Jones wrote of a Banner and Hulk who were bleeding together, of a scrawny-looking scientist who could tap into the raw power of the Hulk without actually transforming into him (starting in The Incredible Hulk #47 [January, 2003]). Was this a glitch in the proverbial Matrix, or a symptom of where Banner and the Hulk could conceivably go in the future? So Bruce Banner is a metamorph, a shapeshifter, and the alters that have expressed themselves have different personalities and levels of intelligence, strength, and durability. Ultimately, it's that last one that matters most when we're talking about an immortal creature. As Ewing himself stated in his first interview for the series: "Banner can die. The Hulk can’t. If you shoot Banner in the head – he’ll fall over dead. He’ll lie there all day, dead as dirt, growing cold, getting stiff… right up until the sun goes down. And then… well, night is the Hulk’s time. And the Hulk remembers." One thing I don't want to see is Banner dying in every issue, starting to stink the place up, and then changing into the Hulk to save the day. Just like the savage, childlike Hulk, that situation would have the tendency to get old. But there should be some logical progression forward--something that the knowledge that the Hulk will always come back from death will provide back to Banner. Think about this: if you suppose that Banner is just another Gamma mutated form, then it's his own subconscious that has set forth the rules of the road: different personality, intelligence, strength, durability for each form...including what he thinks of as himself. The rules only apply because Banner cannot control the changes and does not have a conscious awareness that the rules really don't need to apply. If Banner were to realize that he was subject to the same "rules" as the Hulk, then he wouldn't need to age if he didn't want to. He could tap into the Hulk's power if he wanted to. He could be as tough to kill as the Hulk. The list goes on. Remember any "what if" story where Banner looks old, or "dies" of old age and the Hulk lives on? Totally unnecessary once he reconciles the fact that he, like the Hulk, is immortal. If you're thinking that the rules not needing to apply sounds a bit, well, sociopathic, it's a fair point. Another time that Banner/Hulk came close to realizing this ability about himself came in David's "Ghosts of the Future" storyline, wherein the Merged Hulk, turned a bit crazy by shrapnel lodged in his brain, willed his appearance to change into something resembling the Maestro in order to give the heroes an enemy to fight, a scapegoat (The Incredible Hulk #439 [March, 1996]). Never before and never again has any incarnation of the Hulk been able to so quickly alter his appearance outside of the traditional transformation paradigm. Discussing sociopathy also brings me to the other side of discussing death--which is, to say, Banner's own attitudes on the sanctity of life, in light of his own immortality. There's a logic train that started back in the time of the old 1970s TV show that basically said the Hulk wouldn't kill because David Banner wouldn't kill. For the first 20 years or so of the Hulk's existence in comics, there was only rarely talk of deaths caused by the Hulk. When the eighties came, you almost couldn't avoid it, as John Byrne's mindless Hulk laid waste to entire towns, making the cost in lives explicit. Applying the real-life logic to the character that had begun infiltrating comics in the wake of books like Watchmen meant to many that the Hulk's rampages had to have costs measured not only in property damage but also in loss of life. Certainly that's the tack writers like Brian Michael Bendis took when writing books like New Avengers: Illuminati (May, 2006) wherein he casually had characters mention civilian casualties directly stemming from the Hulk storming through Las Vegas. In Bruce Banner's eyes, no innocent life is more-or-less important than his own. If an innocent person did die by the Hulk's hand, he could never live with himself. He would FIND a way to end his life beforre [sic] that would happen again. It can't really be rationalized away by saying he'd TRY to kill himself. Bruce is smart. He'd figure out a way. It doesn't matter how ludicrous that supposition is. It's an apogogic argument. The fact that Bruce hasn't killed himself MEANS that he hasn't taken an innocent life. I tend to believe him and can dismiss most of the cases in which Banner or the Hulk has killed as "me-or-them" situations. Certainly the fact that Bruce Banner killed his own father does not mean that he has the predilection to do the same to others; he still values life, and virtually everything he's done since having to share his life with the Hulk exemplifies that belief. But, but, but...how does being unable to die affect Banner's attitude towards the lives of others? You can see this situation can take a very morbid path. Does he envy those that can escape life? Does he go into denial, try and commit suicide? How many times before he decides to just move on? Does he become bitter at the prospect of everyone and everything around him dying while he and the Hulk go on? Does he begin to believe himself above humanity for being able to transcend mortal existence? Does he become the misanthrope as well as the Hulk, wanting the world to leave him alone? Does he start to think of himself as judge, jury and executioner? Does he revel in giving others the gift of death he cannot achieve himself? What kind of person could avoid these temptations, could avoid sliding slowly into the abyss? Now, you see my worry? I think you're right that Bruce dying every issue and subsequently coming back, would become very boring very quickly. It's my main worry for this new direction. How is Ewing going to keep this 'gimmick' interesting? Nevertheless, I'm very excited about this upcoming series because it's the most promising Hulk storyline we've had since Planet Hulk. And before that it was David's first run. Everything else ranged from disappointing to f-ing terrible imo, and Hulk fans haven't had it easy. I think that explains the hype surrounding Immortal Hulk: the fans desperately want and need it to be good. I can't remember the last time I have looked forward to a new series so. The Half Life similarities are interesting but I wonder whether Ewing even realizes. It would be impressive if he did and actually referenced it. Also, you didn't refer to the little ' we cannot die, we always come back' speech the Maestro gave Bruce at the end of the Heroes Return mess. How the Maestro came back from being nothing vut a crushed skull. That's already a literal nod at the Hulk being immortal. Together with the Hulk personality living forever in Hulk: The End you could say that Peter David already did the immortal thing. I was chatting with Al and he confirms he has read #334 and #342, and that the Peter David run is one of his favourites, and Half-Life was in the back of his mind when he was thinking about gamma people and resurrection.